Request for SAIF Impact Factor evaluation of your scholarly journal to increase excellence. ​Request Impact Factor Evaluation Today ! 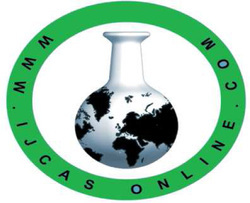 This journal is indexed by 'Scholar Article Impact Factor' on the 02 March 2016.
International Journal of Modern Chemistry and Applied Science is an online international journal to promote all fields of Chemical Sciences like Organic Chemistry, Green Chemistry, Photochemistry, Inorganic Chemistry, Physical Chemistry, Industrial Chemistry, Biochemistry, Environmental Chemistry, Agricultural & Soil Chemistry, Analytical Chemistry, Polymer Chemistry, Macromolecular Chemistry, Petroleum Chemistry, Forensic Chemistry, Medicinal Chemistry, Computational Chemistry & Molecular Modeling/Drug Design and Phyto chemistry as well as all aspects of Chemical Engineering etc. International Journal of Modern Chemistry and Applied Science allowing free full-text access and also devoted to the promotion of all fields of Pharmaceutical Sciences, Biological sciences , Biotechnology, Computer science, Earth and Planetary Sciences, Energy, All streams of Engineering, Environmental science, Forensic sciences, Genetics, Immunology and microbiology, Mathematics , Medical sciences, Molecular biology, Molecular modeling and designing, toxicology, Physics, Statistics, Mathematics, Veterinary sciences etc.. The journal publishes research papers, short communications, reviews and notes dealing with entire aspects of applied sciences. Scholar Article Impact Factor does not guarantee any accuracy of journal information in this page. Please contact journal administration through their website for any query, journal status and updates.